SHOCKING!!! 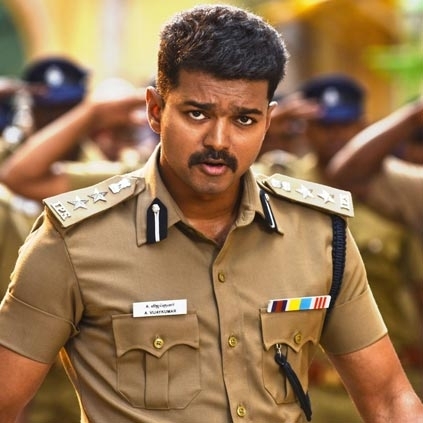 ILAYATHALAPTHY VIJAY’S NEXT NOT WITH ATLEE? When most of us are pretty certain that Vijay’s next film after Bairavaa would be directed by Atlee, we now have got a shocking update from a bankable source close to the ‘Ghilli’ actor. Apparently Vijay might do a quickie before teaming up with Atlee. We are told that Atlee is currently working on the script work and with veteran writer Vijayendra Prasad in talks to collaborate with Atlee, we believe the pre-production work for this project will take some time. So it looks like Vijay might do a quick film after Bairavaa which would be completed in 3 months. Supposedly Vijay is in talks with one of the directors who had earlier teamed up with him. Going by Vijay's track record, he doesn’t muster time between 2 projects and would start his next project when his current film completes. So there is a possibility of him doing a film before Atlee’s. We will have to wait and see what he has in store for us and some official word is needed before we come to a conclusion. People looking for online information on Atlee, Ilayathalapathy, Vijay will find this news story useful.